Sometimes, I lie about my teaching. When I write about the beautiful and flawless learning that occurs within my classroom on a daily basis, I am not telling the whole story. Facts have been glossed. You, the audience, do not know the whole story. What you do not see is the daily grind. The mistakes. The average classroom management. The time-sucking transitions. The lack of differentiation. The lecturing. The stress. What you read on this blog does not occur all the time. The stories I tell are gems picked from the rubble. They shine and are without need of polish, and when you pick them up for closer examination they glisten, refract the light and a mirage of light explodes from your screen. These gems amaze. But why do I only feel the need to discuss the gems? Is there no value in the rubble? Exposed – daily teaching reality. I read an excellent article recently in The Atlantic by Ben Orlin. In his article, titled I Lie About My Teaching, Orlin discusses this very topic – why is there not more space for educators to discuss their shortcomings? Why must we, as teaching professionals, constantly advertise our perfect classrooms? Scrolling through my personal Facebook account, my life looks borderline perfect. I have friends, we hang out, I have traveled the world, my family loves me, etc. This desire to advertise my personal life’s accomplishments has influenced my professional life as well. I shy away from acknowledging my errors when I write. And I am certainly not the only one. I believe that societal trends as a whole have contributed to this phenomena. Take a look through any social media account and you’re probably going to see a flood of positivity too. But we all experience tough times, personally and professionally. We all struggle with life’s darker moments. But what does this all mean? Why has Ben Orlin taken up arms against the ever-growing positivity movement? Why am I, after over 3 years of blogging, suddenly generating rainclouds over life’s never-ending parade? I’m not. I’m merely swapping the rose-colored lenses of my glasses. I’m opening my eyes to see the world and my classroom as it actually exists. It’s not rain, it’s the truth. How can I make time to answer the most important questions of all – those generated by my learners? My blog is full of passionate accounts of perfect lessons. When a learning engagement turns out better than anticipated I take to my social media accounts to sing my students’ (and subtly my own) praises. However, for every one of these exceptional learning engagements, there are just as many that were average. 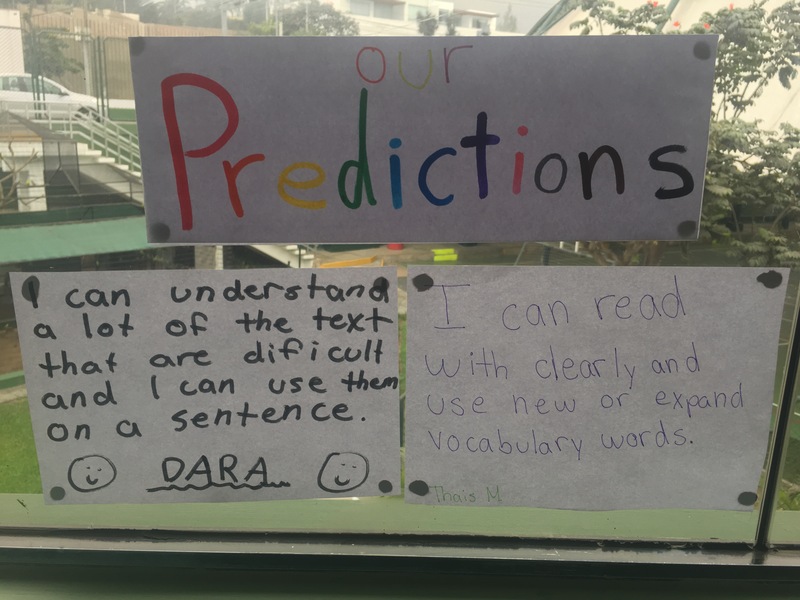 Sure, learning occurred, but I could have made the task more engaging or challenging or connected to the outside world. And for every one of these average lessons, there are some that flopped completely. 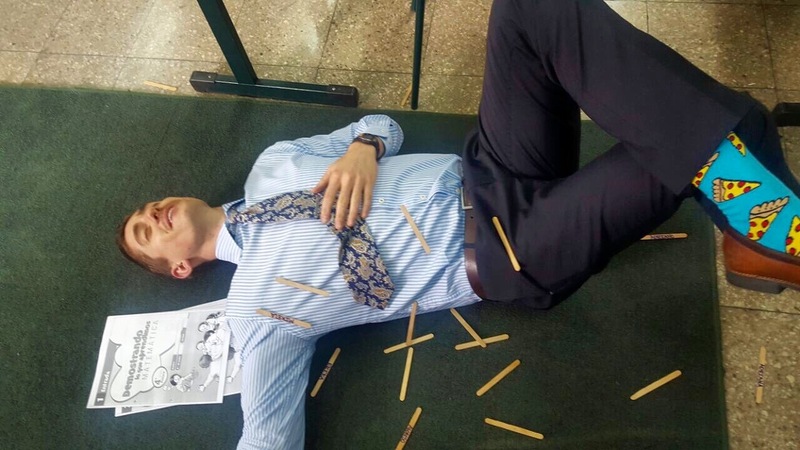 Maybe I tried to squeeze too much content into one lesson or the activity was not able to resonate with my learners. This is the daily reality of a teacher. Why isn’t there more space to discuss daily life inside the classroom? Acknowledging my shortcomings as a professional is essential to my own growth and development. I’m 25 and, while I am certainly doing a lot of things right in my classroom, I am no where near perfect. Glossing over my daily miscues or failed learning engagements is poisonous to my practice. It hinders my ability to grow. Teaching is a reflective profession – I ask my students to critically analyze and reflect upon their work. I too, should do this. I should lead by example. So. Where do I struggle most on a day-to-day basis? Of all of the areas in need of improvement, I isolated 3 key components that are lacking in my current practice: differentiation, time management and questioning. 1. Differentiation – An area all educators struggle with given the fact that each year brings new learners. However, I am really struggling to reach all of my learners this year.While some of this might have to do with the fact that I am working with a new curriculum, it is also a challenge that will not simply vanish as I become more comfortable with the content. There will always be room for improvement. Differentiation seems to be an omnipresent challenge. Although I am very capable of reaching a portion of my learners, I often struggle to appropriately challenge those at the top and bottom of the spectrum. In order to continue progressing, I believe I must utilize formative assessment to help formulate small group tasks. Certainly much easier said than done, but determining an approach is a step in the right direction. 2. Time management – When other educators come and observe me one of their points of feedback is that I talked a lot during my lesson. Given the length of the average post in this blog, this will probably come as no surprise to you. I love to talk. Truly. However, this is not always a strong character trait, especially in the teaching profession. The truth is, I am afraid. I’m afraid of my students’ failing and so I talk and talk. I explain a concept over and over again, hoping to solidify the knowledge in my students’ minds. I give directions then immediately reiterate them using words to make sure my kids heard me. I need to let my learners go be just that, learners. I need to synthesize my thoughts and deliver crisp and concise lessons and instructions. Then I need to shut up and observe. An additional problem that is directly linked to the issue of time management is lesson flow. My lessons are unbalanced. There is too much “I do” and not enough “we do” and “you do.” Allowing more time for student-led action, as scary and unknown as that sounds, is best. In order to continue improving in this area, I must examine content beforehand and determine the best way to deliver powerful and effective mini lessons and allow for my learners to do the rest. 3. 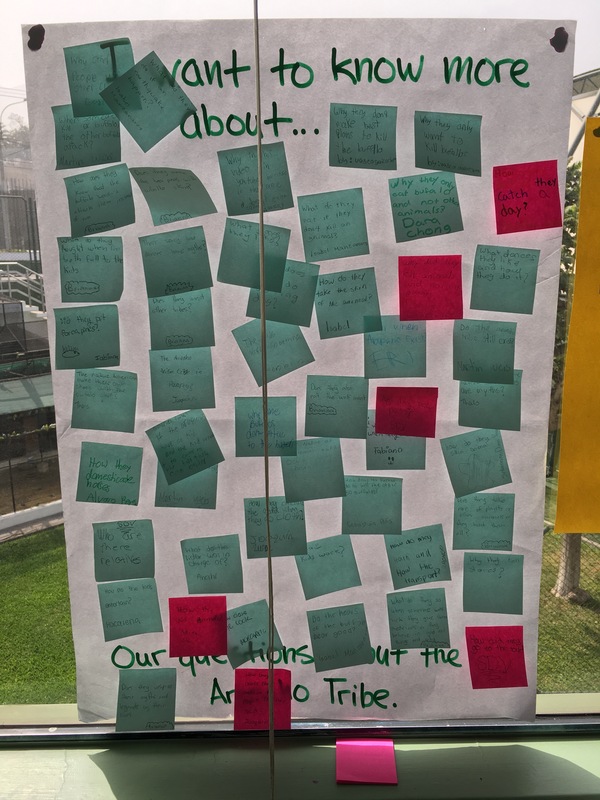 Questioning – Working within the International Baccalaureate Primary Pears Programme, IB PYP, my learners and I are able to navigate some of life’s most important questions together – Who are we? How do we organize ourselves? How does the world work? How do we express ourselves? These enormous open-ended questions leave us in Fourth Grade an Newton College room to select topics that are relevant to our group of learners. We examine topics relevant to Perú and South America as well as more globally-facing topics. My job as the teacher is to guide my learners down a path towards greater understanding. Every 6 weeks when we finish a unit, my learners should emerge with a new understanding or appreciation of the content we covered. However, successfully guiding my learners through these units requires an exemplary level of questioning. I must find ways to nudge, without pushing, inquiry towards a successful outcome. I struggle with finding the nudging right words. Often times, I use vocabulary that is too vague or complex for my emergent bilinguals and this hinders their learning. Other times I give too much input which also degrades the authenticity of their learning. Finding a balance between these two will be key for my success moving forward within the PYP. As I mentioned, these are the big three. Certainly there are more areas in need of improvement, but these are the three that stood out to me as I reflected upon my current practice. It feels good to know that I am human. I feels good to showcase the rubble. I ask you to do the same. Perhaps together, we can change the tone of online dialogue about teaching. It’s time we all started telling the whole story, for our students’ sake. Celebrating authentic learning begins with recognizing that there is room for improvement.